New Book, #EdJourney Official Page Now Up! Home/Uncategorized/New Book, #EdJourney Official Page Now Up! It’s getting close! 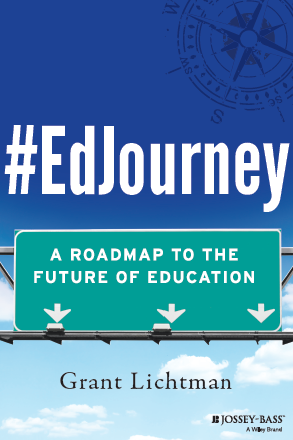 The official page for my new book, #EdJourney: A Roadmap to the Future of Education, is now up on the Jossey-Bass website! There are links to major US distributors, including Amazon, which has #EdJourney available now for a pre-order discount. I am discounting my normal facilitation/workshop/speaking fees by up to $750/day to encourage schools to buy copies for their faculty and staff.